Powtoon is an example of great business software to create online presentations with. But if you have an account on their website and you’re thinking about closing it, we’re here to help and facilitate that process for you. 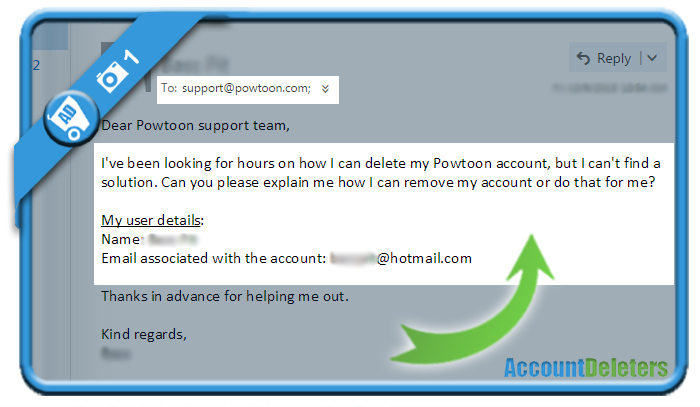 All it takes to remove your profile, is one simple email to their support team. Already 5 hours later, I received an answer from the customer support. 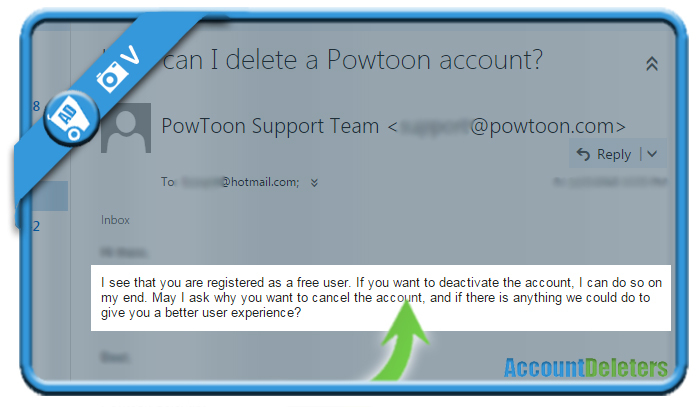 They confirmed me that my account can be removed, but that they’re just wondering why I want to remove it. All you need is reply with a reason for removal and confirm that you want to have it closed. They’ll delete it afterwards. Thank you, this guide has helped me a lot! ?